6 Months & Older for Dogs and Puppies Fresh Scent 18 oz. 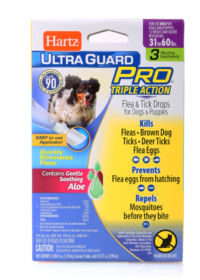 6 Months & Older for Dogs and Puppies w/Aloe 18 oz. 6 Months & Older for Dogs and Puppies Citrus Scent 18 oz. 6 Months & Older for Dogs and Puppies Oatmeal 18 oz. 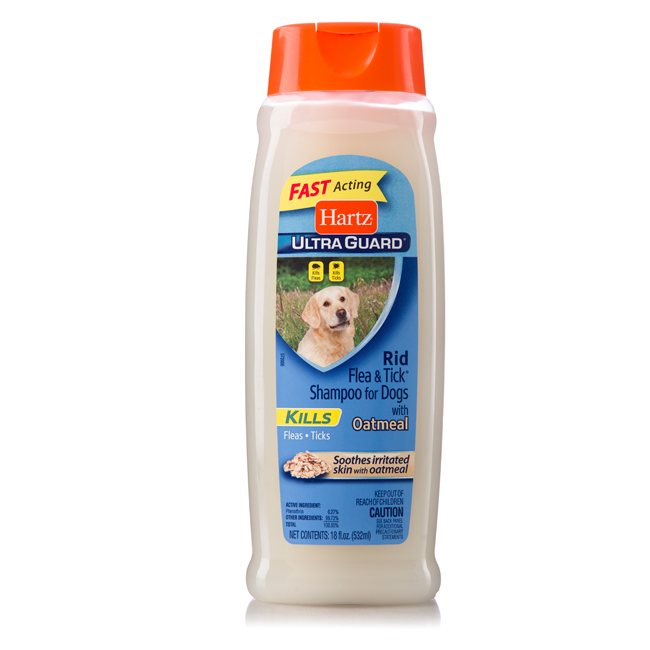 Hartz UltraGuard Rid Flea & Tick Oatmeal Dog Shampoo provides your pup with relief from fleas and ticks. 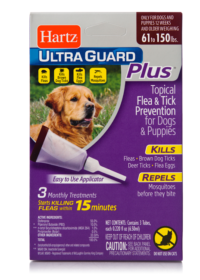 The cleansing formula kills fleas and ticks through contact. 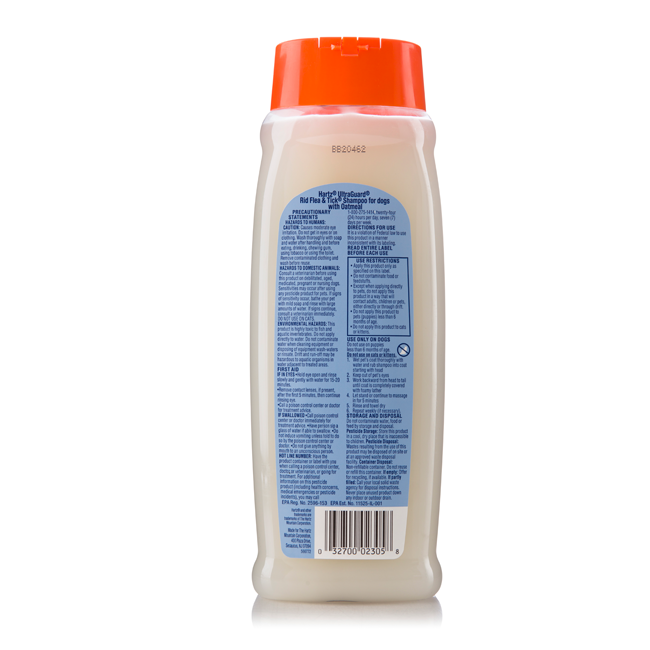 This shampoo is enriched with oatmeal to help provide soothing relief from itchy or irritated skin. Made for dogs or puppies 6 months of age and older. 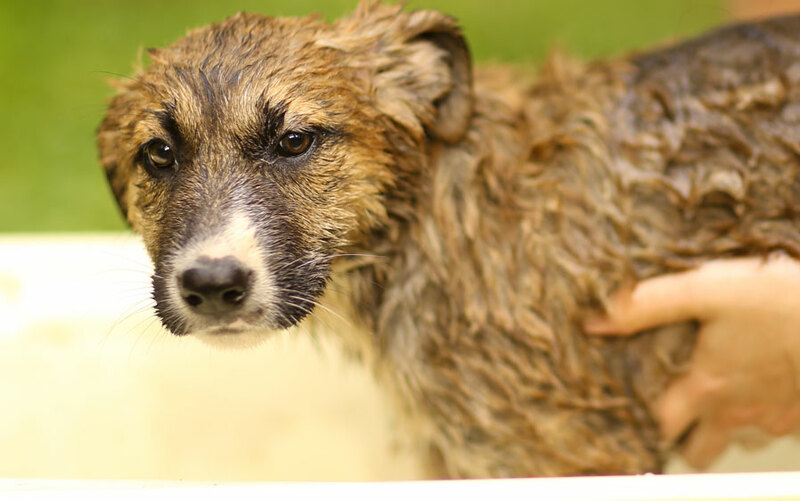 To use, wet pet's coat thoroughly with water and rub shampoo into coat, ensuring not to get suds into the eyes. Massage from head to tail until coat is completely covered with a foamy lather. Let stand or continue to massage for 5 minutes. Rinse and towel dry. Flea control is very important. 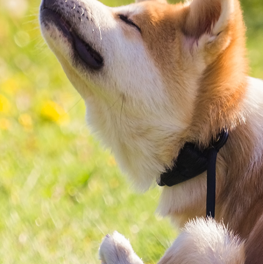 It would be a mistake to think of fleas as simply an annoyance for your dog. 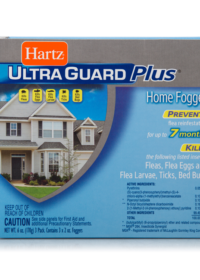 Fleas can transmit several diseases and heavy flea infestations can be especially dangerous. 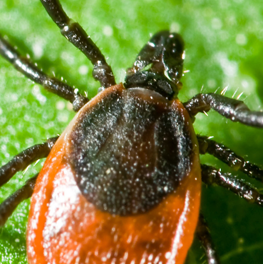 Recent data shows that tick populations are on the rise. 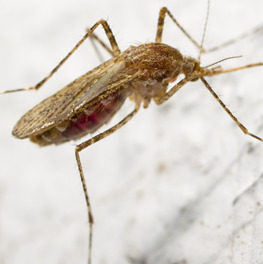 More than just irritating pests, mosquitoes are a primary cause of heartworm in dogs.